Jeremy graduated from Brunel University with a degree in Business and Finance, specialising in Marketing and Italian. He joined MullenLowe Group in 2000 to work on the Braun international business and went on to run HSBC UK and Opel. After five years with MullenLowe Group, Jeremy spent a year at JWT leading the Vodafone business but in 2006 MullenLowe Group lured him back to run their prized global Stella Artois business. He took Stella Artois digital, resulting in one of the world’s most awarded sites, winning awards at Cannes Lions, Clios, NY Festivals and the One Show, to name a few. In 2008 he was appointed Director, MullenLowe Group Central and Eastern Europe and Russia, and additionally in 2010 took on the responsibility of running Unilever’s Oral Care business globally, managing teams in LATAM, Europe, Middle East and Asia. Jeremy was appointed Chief Executive Officer of MullenLowe Thailand in April 2011 and successfully grew the business, enhanced profitability and put the agency back on the awards map winning Thailand’s only Gold Lions at Cannes 2013. 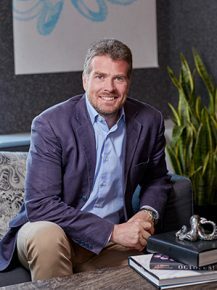 In September 2013 he was recalled to the global headquarters where he took on the role of President of all MullenLowe Group operations across Europe, Middle East and Africa. He was in this role until he was appointed CEO MullenLowe Group UK in April 2018.